There’s a saying that bad typography is everywhere and good typography is invisible. But how do we define what good and bad is? How can we avoid making bad typographic decisions? 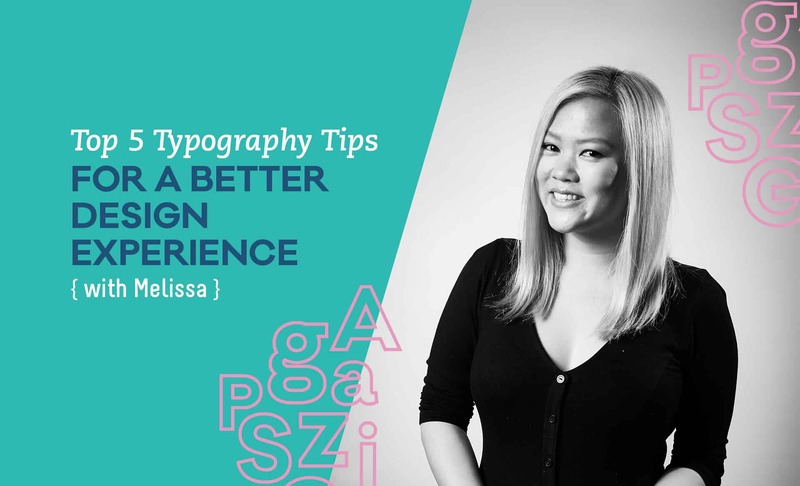 Our resident type nerd and lady of lettering guides us through her top 5 tips to avoid typographic tumbles. What typographic traps do you see people frequently falling into? Avoid the allure of free fonts! I’ve seen too many design pieces that suffer from poorly designed fonts. They often don’t have complete character sets, they’ll use the same glyph for similar looking characters (which can be very confusing) or they won’t have proper spacing/kerning pairs. Not all free fonts are terrible, there are some great ones out there. These are rare exceptions so you can bet that a million other designers will be using the same fonts too. You want to stand out. What if I need some lettering for a project? Wouldn’t it be easier just to download a free font? Yes, downloading a font is easy but I encourage everyone to try and create letters themselves. Especially for one-off projects where you can afford to play and experiment. People crave authenticity so take the time make something unique. If you can give your clients a basic piece of typography advice, what would it be? Say no to justified text if you want people to actually read your content. Justified text is generally a bad idea for print but even more so for the web. Whilst the straight column edges may look great in a layout, justified text leaves unsightly gaps between each word and makes for a very disruptive reading experience. Don’t fall into this trap! Don’t use same font for every project. A friend of mine once told me her lecturer said the only font you ever need is Helvetica. So in her uni years she set all her projects in Helvetica and wondered why all her work looked the same. Don’t get me wrong. Helvetica is a great typeface but if you don’t explore other options, your work will just have the same flavour. The way your text looks plays a huge part in design. Why not experiment with different font pairings and see what typographic recipes you can come up with? What pointers can you give to anyone wanting to lift their typography game? The devil is in the details. There are some very basic rules to follow when it comes to creating a pleasurable cohesive reading experience and in turn, a beautiful “invisible” typographic layout without bad typography. Learn to recognise what orphans and widows are. Understand the differences between hyphens, en dashes and em dashes. Know the difference between Lining and Old Style figures and how to use them. Start seeing the spaces between each letter and each word, ask if they have a consistent relationship. These details are the stepping stones to reaching the top of the typography game.